Fortnite, Fortnite, Fortnite… The colourful battle royale title remains omnipresent as the first game since Pokémon Go to seriously pique the interest of the mainstream press. It’s been growing for some time, though in the shadow of its grittier rival PUBG. But it was the combination of a free-to-play mode, influencer-celebrity antics and a crossplay-capable smartphone version that pushed it into the limelight. 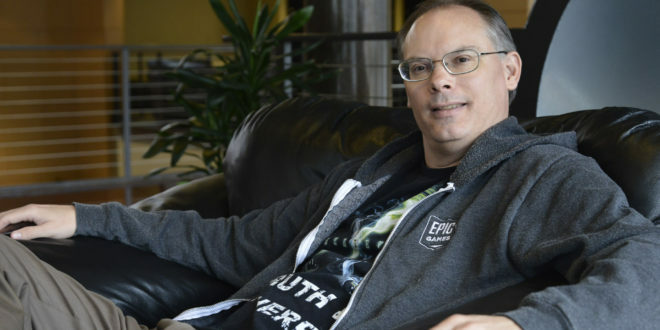 And while Fortnite soars (like its own Battle Bus), Epic is perfectly-placed to benefit not just from that game, but many more like it, CEO Tim Sweeney believes. With the company recently announcing a powerful in-engine camera system, it enables influencers to create slick and varied content from any Unreal Engine title that chooses to utilise it. In addition, the engine’s multi-platform support and crossplay capabilities are ideal for unifying players into a single addressable community – such as in Sea of Thieves. 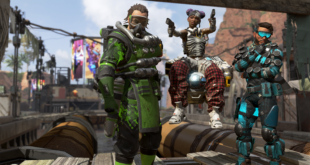 Epic may have more competition now, but it really feels like the company is riding the zeitgeist of games development today. Fortnite on mobile is already among the top grossing on the App Store, with an Android launch coming in the next few months. Seeing a shooter like this at the top of the pile is unusual though, with a control system far more complex than the usual swipes and taps that the biggest mobile games have largely limited themselves to in recent years. So is Fortnite special or is something fundamental changing? “You know, these things go in waves,” Sweeney answers. “So back in the 1980s when arcade machines came out, for about two years, everyone was a gamer. Men and women, kids of all ages, boys and girls. But over time, people got tired of that and they either moved up or moved out. The same thing has happened with smartphones. 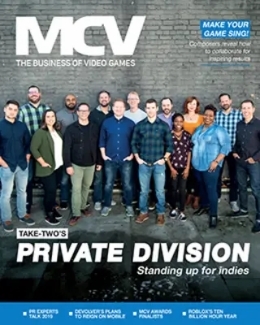 It’s an intriguing proposition, that mobile games are losing their mass market appeal and players are either stopping playing, or moving onto more complex titles – which means more opportunities for cross-platform development. And Sweeney isn’t concerned about touchscreen controls limiting their popularity. Once again he feels like we’ve been here before. "But by the end of the year you’re gonna see predominantly major games for serious gamers being at the top of the charts and staying there forever." Crossplay was once seen as a technical flourish, but as games see themselves more as services than products it’s now a key technology and a political battleground. 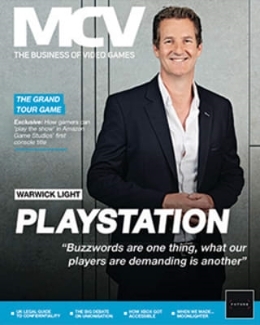 “I think people now are just starting to realise that games, especially multiplayer games, are social experiences and people’s habits resembles a social network,” Sweeney says. After all, you wouldn’t expect to have different Facebook friends on different devices. And it looks to be Sony that’s currently standing in the way, with Microsoft publicly stating that it was happy to enable crossplay between Xbox and PlayStation players of Fortnite. Sony’s last comment on the matter was that it wanted to avoid “exposing, what in many cases are children, to external influences we have no ability to manage or look after.” Though given that PlayStation players can now play PC players, that’s somewhat moot. While PUBG was last year’s breakthrough hit, it looks as though Fortnite’s free-to-play model and platform ubiquity has put it in pole position for 2018. The interesting point to note is that both games run on Unreal Engine. So how does Sweeney feel about being in competition with his own customers? “The thing about games is that they’re not like vacuum cleaners, right?” he begins. “You buy one brand of vacuum cleaner, you’re not going to buy another one, because you only need one. 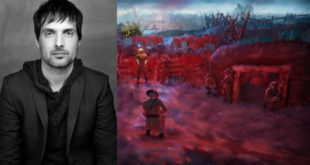 But with games, if they’re two great games, people will play both,” he explains. “We see a lot of streamers on Twitch who will switch back and forth between Fortnite and PUBG, and you know, today they’re in Sea of Thieves. And that’s the natural ebb and flow of people’s playing habits and moods. “So I don’t feel like products in the same genre are cut-throat competitors at all, I think they’re very complimentary and the work that we’ve done on Fortnite has benefitted PUBG and a huge array of other games. 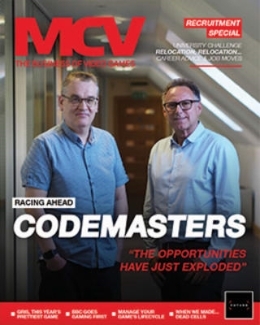 Namely the optimisation that got us to 60fps on all console platforms, making the game work on mobile, all the streaming improvements and everything else required to support a game of this scale, it’s benefiting everyone,” Sweeney claims. It certainly makes logical sense that Epic’s own games-making experience feeds back positively into the engine to the benefit of its numerous users. And we certainly can’t see anyone moving away from Unreal because the company is having huge success on the platform itself – in fact quite the opposite. A key reason for the massive success of Fortnite is that, like other games in the battle royale genre, it’s a brilliant game for influencers – thanks to making a win a big deal, varied pacing to the action and lots of unexpected outcomes. So is Fortnite bigger because of influencers, or are influencers bigger because of Fortnite? “It is circular, but this is how communities form. And there’s some kind of magical nature to it, and I think this is really helping all game developers understand the new nature of gaming. This is a new phenomena, it happened on a small scale previously, but Fortnite streamers like Ninja [with Drake] are setting Twitch records far and above previous records,” Sweeney tells us proudly. 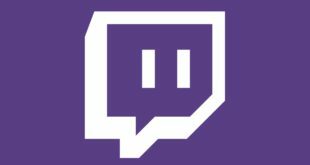 With Twitch being so dominant in the space though, we wonder if Epic feels that owner Amazon is playing fair, with regards to Twitch integrations with its own Lumberyard engine. But Sweeney is emphatic about the company’s relationship. It’s a fair point, so we mention that the Apple phones on which Fortnite now runs use numerous Samsung-fabricated parts in their construction: “Responsible, mature companies can maintain professional relationships despite being competitors,” he agrees. Moving from competitors to partners, Epic had a host of chums involved when it created the outstanding graphics demo of this year’s GDC – ray-traced Stormtroopers. Working with Industrial Light and Magic’s ILMxLab – which is responsible for the Star Wars: Secrets of the Empire VR experience – and using Nvidia’s RTX technology, it created a showcase for real-time ray-traced lighting that provides a cinema-quality finish to scenes. Something that’s only just becoming possible in real-time thanks to more powerful GPUs. “It turns out that at around 25 teraflops operations per second, ray tracing becomes the best way to produce realistic looking pixels,” Sweeney says. He then explains that the film industry fully transferred from the “the traditional rendering techniques that we use in real-time gaming” over to ray tracing ten years ago because “it’s the best way to produce completely photorealistic pixels” and that real-time graphics would inevitably follow suit. In practical terms though, ray tracing is a technology high-end developers can’t ignore today. “Everybody who’s starting a triple-A project, they all should be thinking about ray tracing,” Sweeney advises. Which makes ray tracing a possible selling point for next-gen console hardware. “It’s not coming to your smartphone anytime soon,” he admits. “But GPUs move fast. You might find within two years that you have that amount of computing power in a single GPU. And suddenly it becomes possible at high-end,” he expands. Epic isn’t the only engine in town of course. Unity has engaged a huge number of games developers and looks to be moving towards Epic’s traditional territory with high-end graphics and a performance-based approach to code. So does Sweeney feel that competition is a good thing? “Yes, you’re constantly pushing each other to achieve better things, and a lot of creativity arises out of that because it’s not like everybody’s only trying to improve one particular kind of effect, there’s a lot innovation in a lot of different areas,” he says. That said, Unity doesn’t have its own game the size of Fortnite, which arguably is taking money away from more traditional Unity-developed mobile games. That’s round one to Epic and, like vaccuum cleaners, no one wants to pay for two engines. Disney "has a special place in Kim’s heart"